STORAGE AREA ITEMS … PERMISSION TO MOVE NOW. 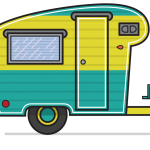 Leaseholders storing RVs, boats, cargo trailers, etc. in the storage area, lots #1 through #99, have been informed to move their items before April 1, 2019. The second phase of re-configuring this area has been set and the Park will allow Leaseholders to move their items to their residential lots effective now, whether in the Park or not. Boondock area may be moved and placed in Boondocks starting March 20, 2019. Boondocks area in order to remain in the rental pool. If you’d like to print a copy of this notice, click here and then print.